The first thing is that her name isn’t Mia. In fact, she has no clue what her name is—who she is. All that she knows is that she’s not like the ones who found her: Dante with his kind blue eyes, Amy with her child-like demeanor, James with his questioning gaze... And Briggs. Do you know how it feels to open your eyes, and find a room full of strangers staring at you? Not moved to speak, only conversing with a simple nod or shake of your head. When you don't know how you came to be in the strange apartment, and given a name, as no one knows what to call you? The newly named Mia does. Mia can't seem to speak or write, but at least she has a warm bed and a safe place for her to stay. The streets aren't safe for women, after a string of kidnappings and gruesome deaths. Learning to find her feet within the group of an unlikely family, the kind and warm hearted Dante, the effervescent and infectious Amy, James who is intelligent yet sarcastic, but the most cautious is Briggs. Snide, snappy and secretive, but what is it about him that seems so foreign, yet familiar to Mia. What if she never remembers? She remembers, she remembers everything. She remembers the broken life, her best friend that would do anything for her, the love, the hatred. 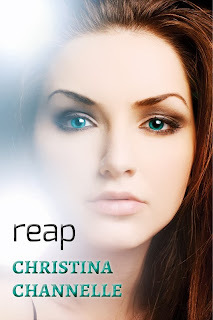 Reap kept me guessing from start to finish, and I had no idea where the story was heading. I couldn't help but constantly wonder who Mia was and why she had no recollection. The book is told in three parts, Forgetting, Remembering and Knowing. It's a beautiful blend of emotion, mystery and anxiety, not knowing where the story is heading. Mia is a likeable character, and sets the pace for Reap, the story only moving forward due to how much Mia can remember. Thank you to Christina for allowing me to annoy her. And thank you to Xpresso Book Tours.